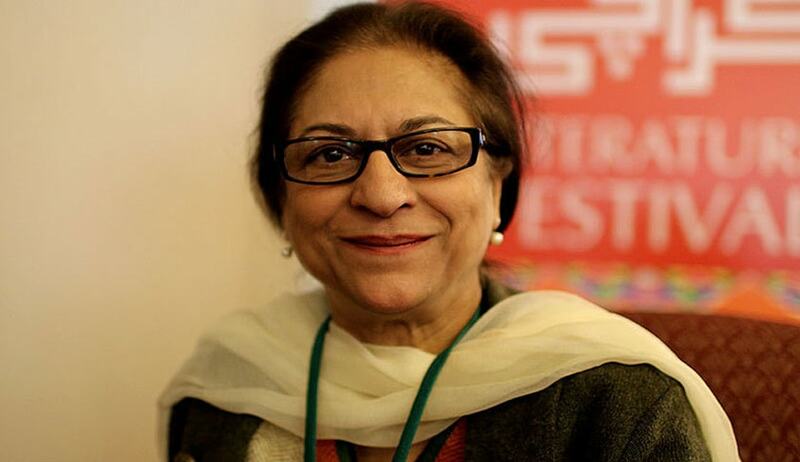 Celebrated Pakistani human rights activist and senior lawyer Ms. Asma Jahangir passed away in Lahore on Sunday at the age of 66. According to reports, the former UN special rapporteur died of cardiac arrest. Born in 1952, Ms. Jahangir did her schooling at the Convent of Jesus and Mary and completed her LLB from the Punjab University in 1978. Thus began her crusade because of which she was put under house arrest and later imprisoned in 1983 for participating in the movement for the restoration of political and fundamental rights during the military regime. Four years down the line, in 1987, she co-founded the Human Rights Commission of Pakistan and was the Commission's Secretary General till 1993, after which she was elevated to the post of the Commission's Chairperson. She was also appointed as the President of the Supreme Court Bar Association soon after. However, she was put under house arrest once again in November, 2007, when she agitated along with lawyers in response to the former President and Army Chief Pervez Musharraf’s decision of unconstitutionally suspending Iftikhar Muhammad Chaudhry as the Chief Justice of Pakistan’s Supreme Court. Ms. Jahangir was quite clearly a fierce defender of democracy and regularly raised concerns about Pakistan’s military and intelligence services. She received several awards, including France's highest civilian award and Sweden's Right Livelihood Award in 2014 for the decades of trailblazing work done by her. She was also included in Time magazine’s list of the 100 most influential women.